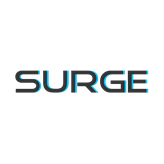 Surge is a leading provider of custom web, cloud, mobile, digital, and desktop software development and consulting services to clients in every industry, from hot startups to Fortune 500 companies. Founded in 2007, and listed on the Inc. 5000 list of America's fastest-growing companies for five straight years, the Surge team has successfully delivered hundreds of software products, apps, and solutions to its clients using a proven agile/scrum development process combined with an elite group of North American software professionals. Simply put, Surge offers America's best software engineers, on demand, at rates 30-50% less than the competition.